Beginning was great with Chetan Anand directing Afsar (1949) based on Nikolai Gogol's play The Government Inspector. Next came Guru Dutt's directorial debut Baazi (1951). Then within next decade some of fine films, mostly thanks to Chetan and Vijay Anand. In 1961, people heard the great music by Jai dev for the film Hum Dono. 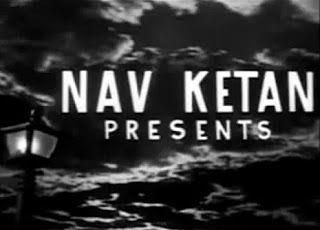 A film later in 1965, Vijay Anand directed path breaking Guide (1965) adapted from R. K. Narayan's novel The Guide and then he went on to direct the brilliant thriller Jewel Thief (1967). Dev Anand turned director with Prem Pujari (1970) and on screen played a butterfly chasing peacenik. Then in 1971, he directed the phenomena called Hare Rama Hare Krishna and Zeenat Aman. Some more films by this company, some more years pass and by the time you watch the 'run-of-the-jungle-mill ' end sequence of 1984 film 'Anand Aur Anand', the debut film of Dev Anand's son Suneil Anand, you may have suspected it for quite some time, but now you are convinced, Dev Anand's work is increasingly making intrusions into Gogol's world. You can imagine Dev Anand telling himself, 'You can't imagine how stupid the whole world has grown nowadays.The things these scribblers write!' And then he resolves to work on three more films, work out the concept for two more and release one more. dear sir,my childhood dreams that i want to be become hero.i have great talent but need true support. I am not Dev Anand. I am the guy who parodied him in all those films from the 90s.